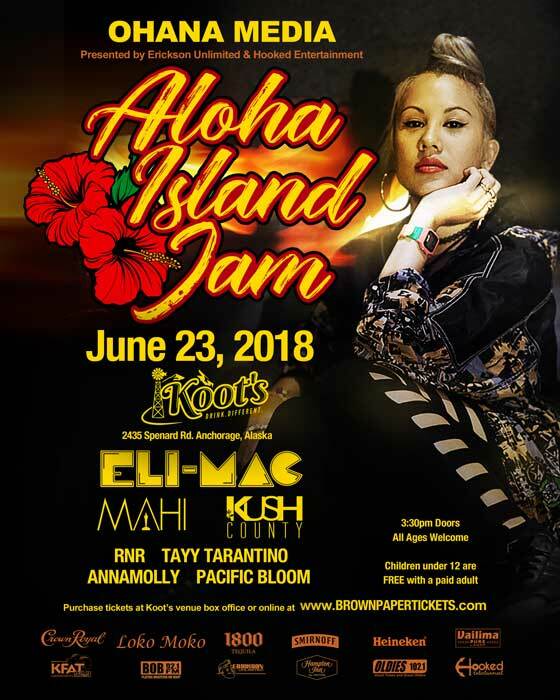 Join us for Alaska's Premiere Island and Reggae Festival "The 3rd Annual Aloha Island Jam brought to you by Erickson Unlimited and Hooked Entertainment! Featuring the Island sounds of Alaska's very own Anna Molly Pogi, Tayy Tarantino, and RnR Band! Topped off with National touring artist Kush County Music, Mahi, and this year’s Headliner Eli-Mac! 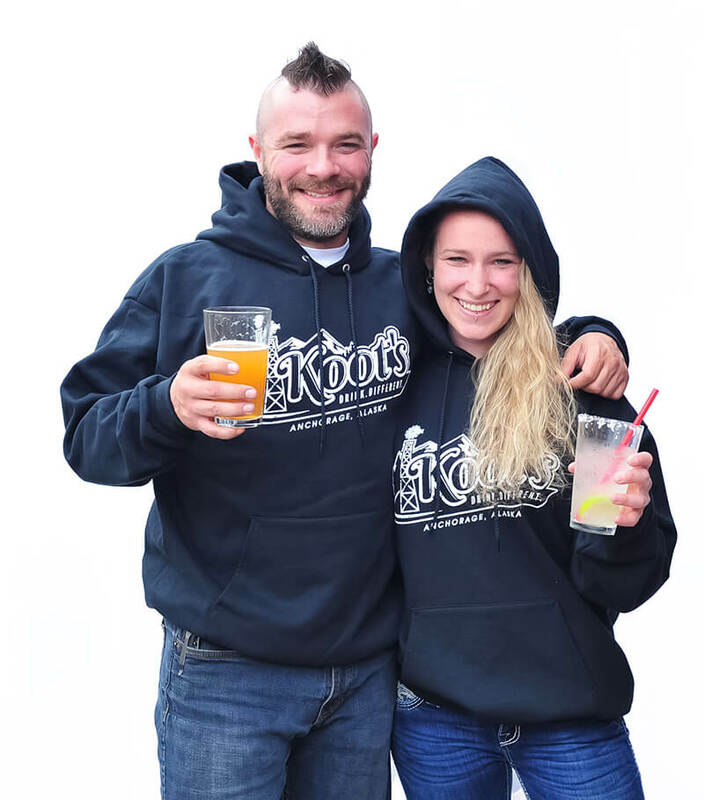 This is an all-ages event with Vendors, Food trucks, a Beer Garden for those 21 and up and Performances throughout the day by the Pacific Bloom. Limited VIP tickets- $100.00 includes a Meet and Greet at 6 PM, 2 Drink tickets, $20.00 Food Vouchers for Food trucks and Early Entry. GA Tickets 13 Years old and up are $40.00 in Advance $50.00 at the door. One Child under 12 Free per paid Adult.